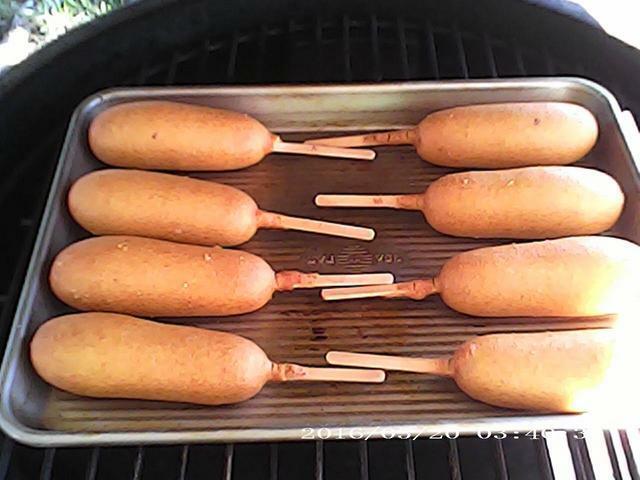 Cooked some corn dogs today, haven't had these in awhile. Uncle, I can't remember the last time I've had a corn dog. those sure look good. I've got to get some and create a new memory! trying to think if i've ever had a corn dog. Don't think but i checked them out and they sound great. ....so....do you suggest making from scratch or just buying a box??? There store bought, I buy the one that has 16 corndogs but they make some with more.